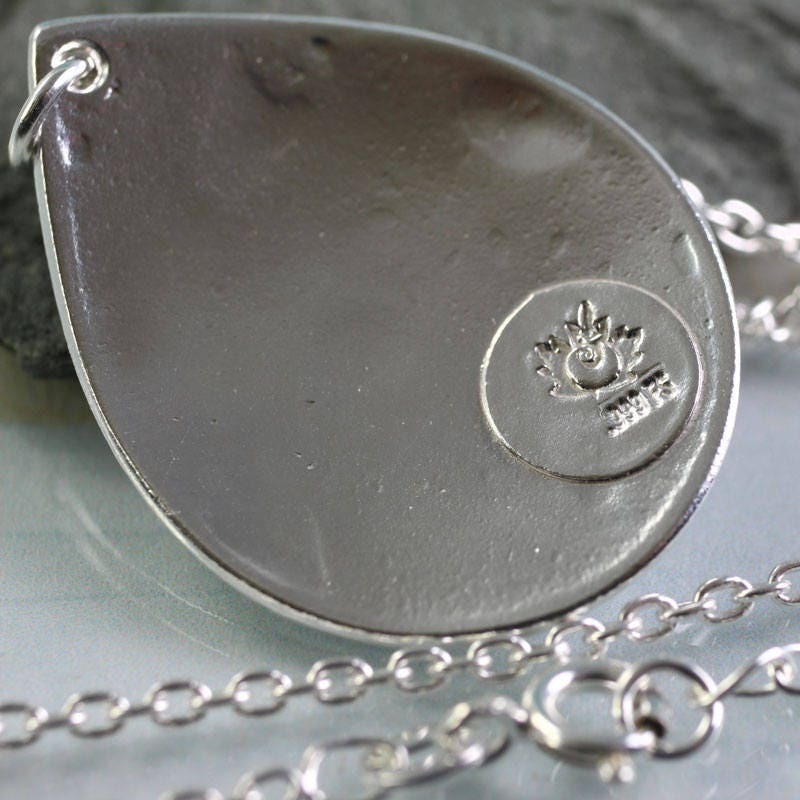 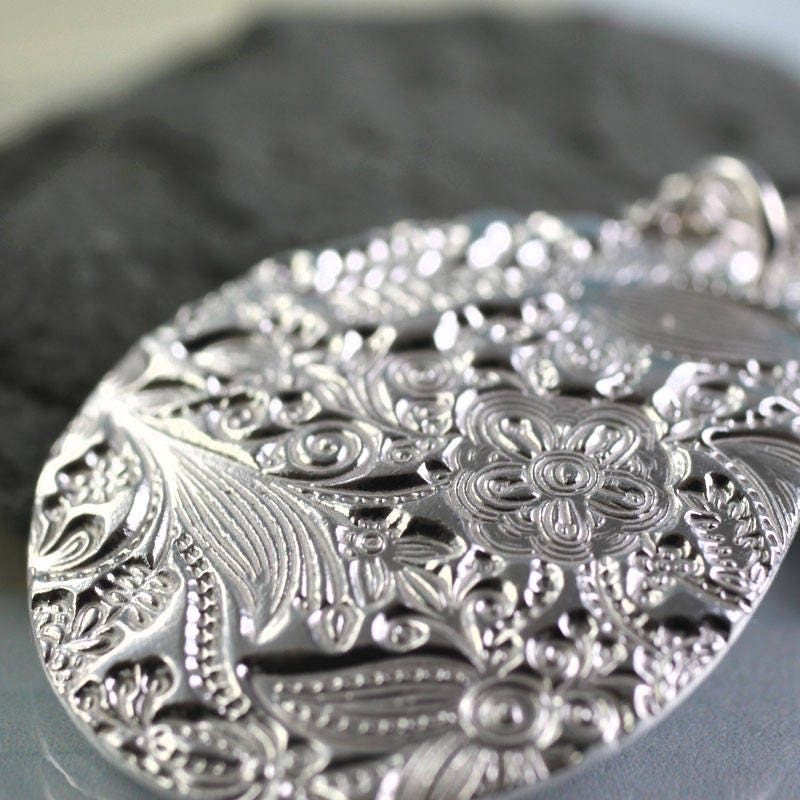 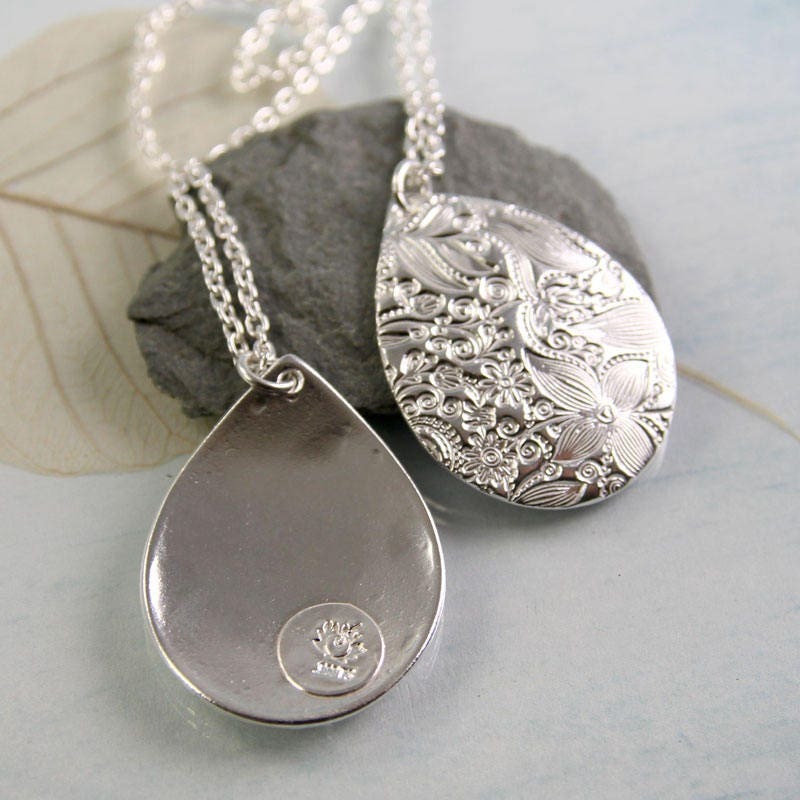 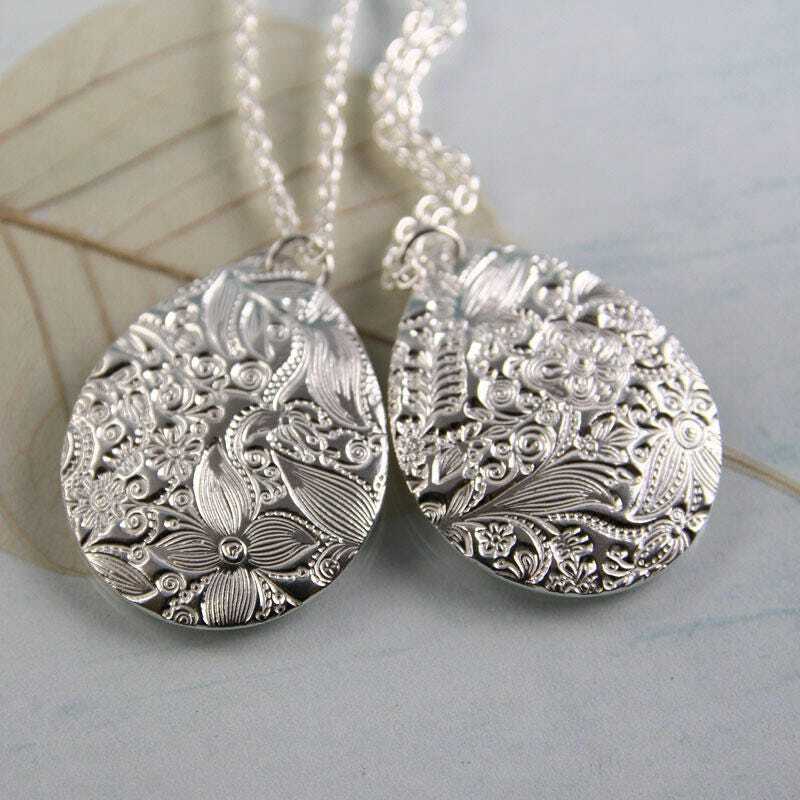 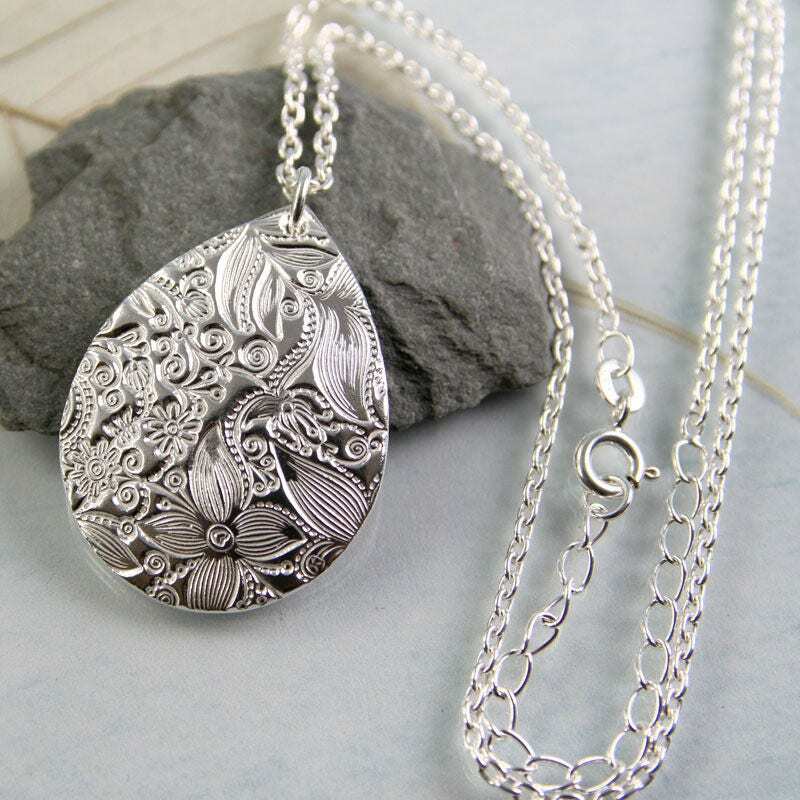 A striking teardrop necklace made in recycled fine silver and impressed with a lovely flower, leaf and swirl pattern stamped into the metal. 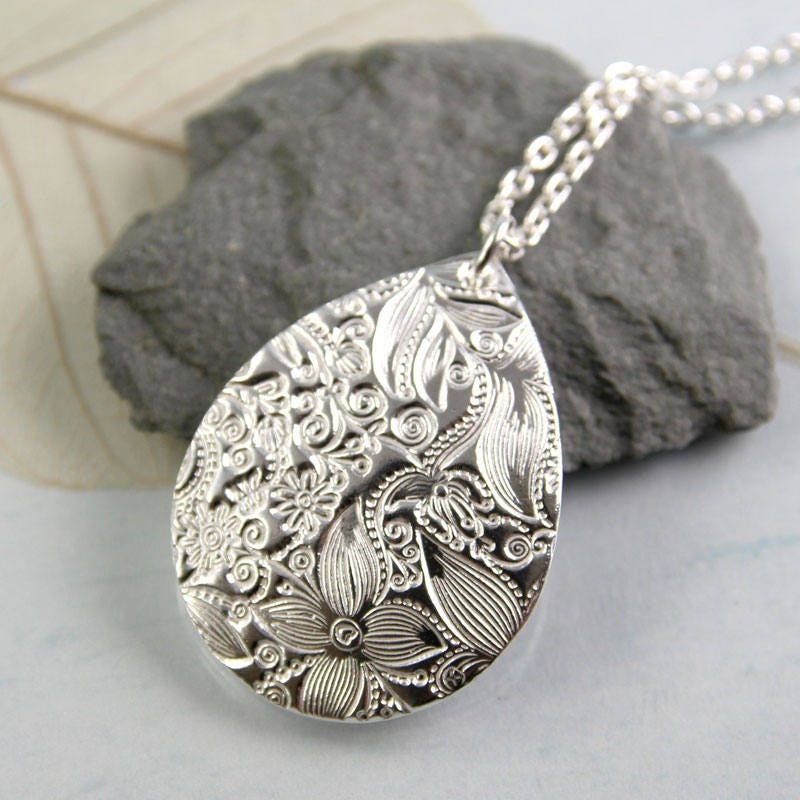 The shape works beautifully with most necklines and the slight curved makes the pendant lie snug against your skin. 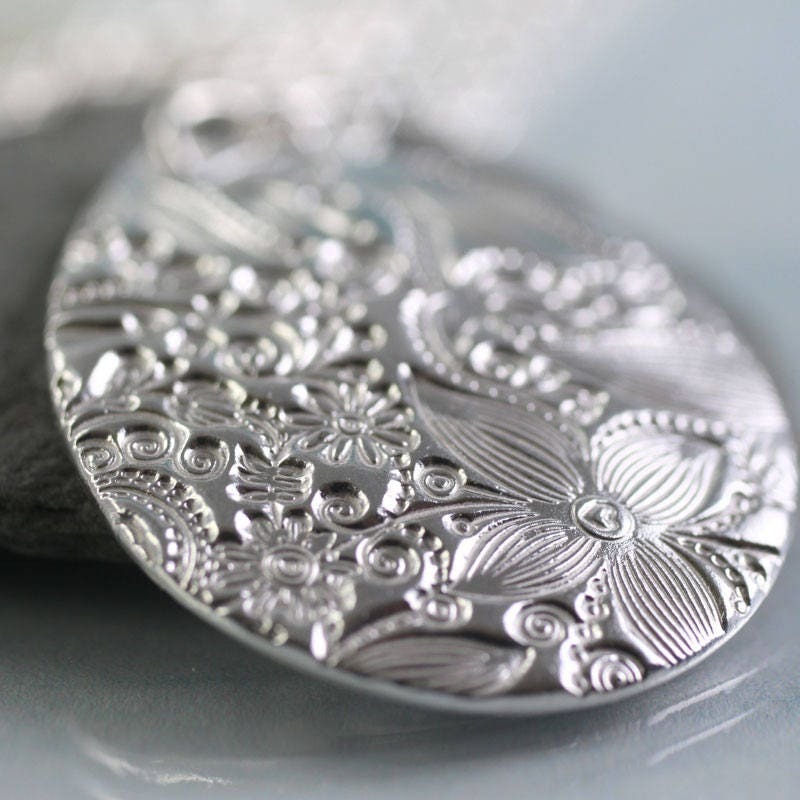 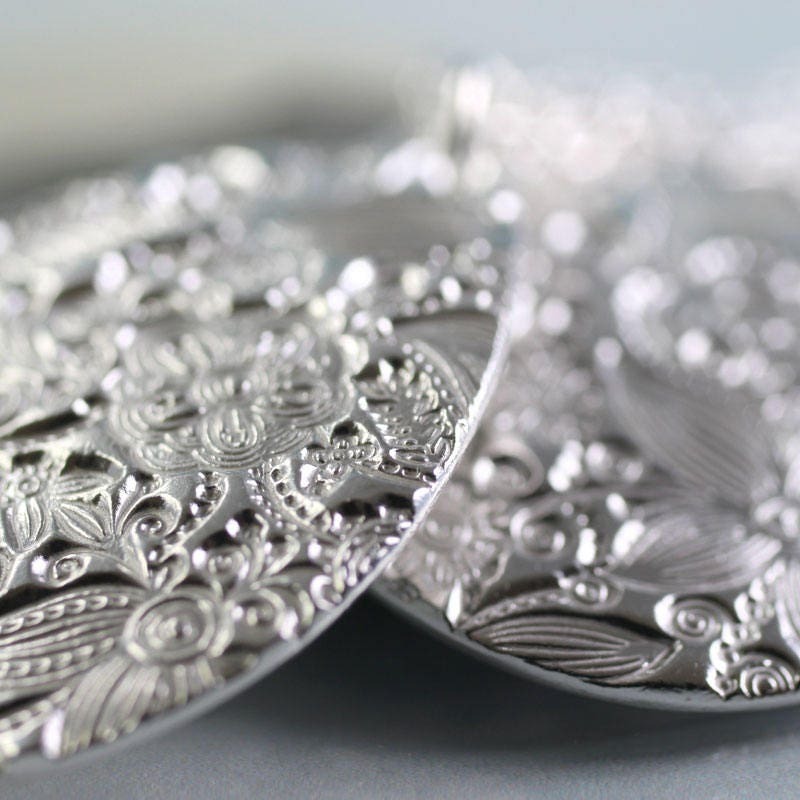 The deep texture makes the silver catch the light and sparkle without gemstones. 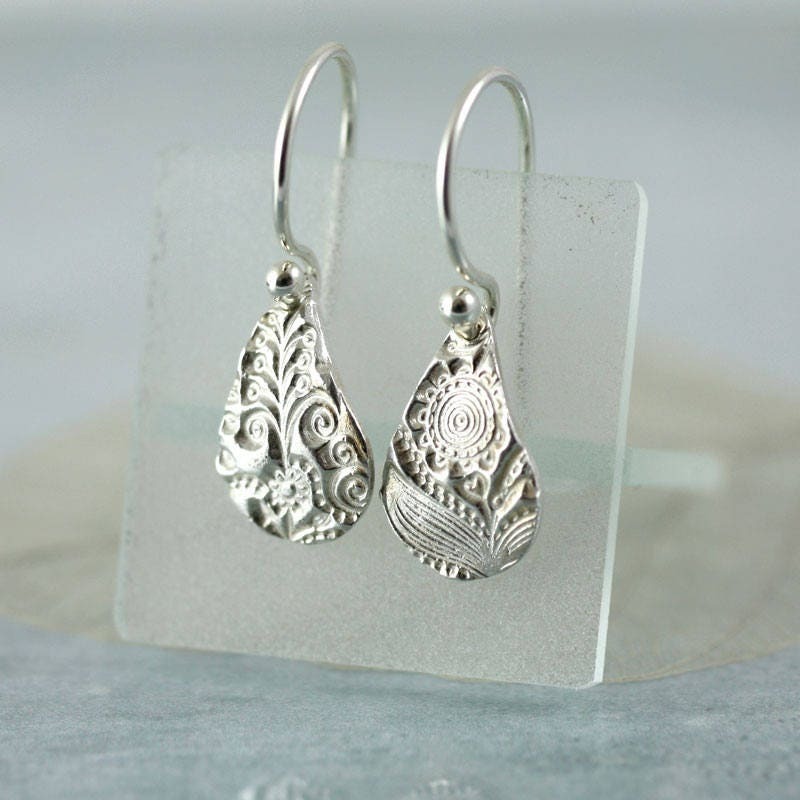 A classic that can be worn every day or at special occasions. 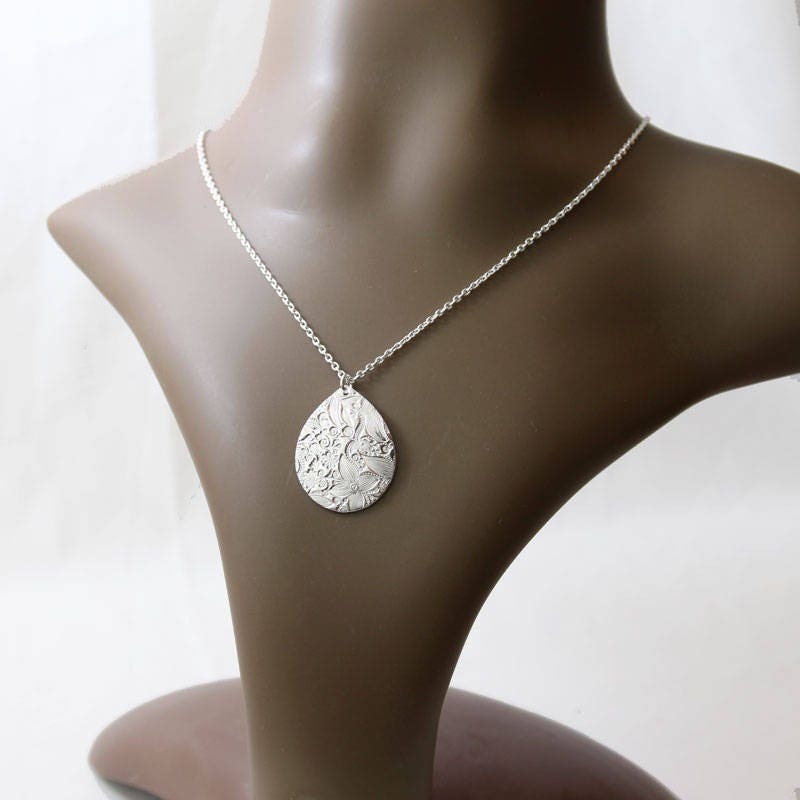 There's an option to add a chain - A sterling silver cable chain 45 cm long.